Hiking And Walking Tours. Self-guided And Guided Trekking Holidays In Spain, Italy, France, Austria, Bulgaria, Portugal, Romania, Germany, Switzerland, Greece. Rambling In Europe. 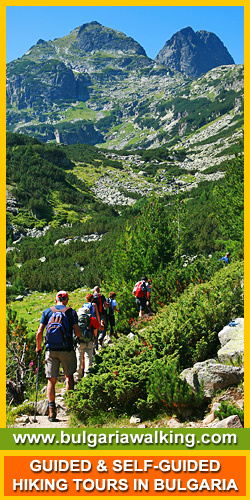 HIKINGER is dedicated to individual tourists, who would take the advantage of hiking whenever and wherever they want to. 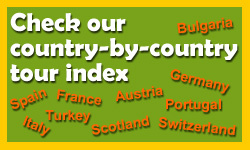 We have done our best to cover the most popular walking routes and classical rambling destinations across Europe, so that you can have a wider list of options to choose from self-guided (independent) hiking and guided (escorted) walking holidays. We are continuously building up our product range with new exciting walking trips and destinations. MUST-DO-TREKS: There are classical self-guided hiking tours, which you don't want to miss. Some of these have been qualified as the World's Best Walking Tours. Whether you go to Cinque Terre, The Amalfi Coast, The Dolomites, Tour du Mont Blanc or The Way of St. James this is the right place to start your journey. Booking any of our DISCOUNTED WALKING TOURS entitles you to a 5% discount on the published web rates. Hiking clubs and private groups of 6 or more qualify for a further group discount, reaching 10%.